Have clear previous and next buttons for a multi page checkout page. In addition show the current position in a clear visual manner. This way the customer knows where they are and that they can go back and change any mistakes they might have made. Avoid displaying an abbreviated cart during checkout. Show all the items along with the respective options selected (for example: color, size etc). This way the customer knows at any point what they have ordered exactly. The images should show the exact item and how it would look in real life. Avoid using 3d renders of products or shots of the packaging. Customer doubts of what it would like when they get is what leads to last minute abandonment. Do not force the customer to create an account in order to complete the sale. Most visitors do not want to create yet another account so offer an option to just checkout. This is something that online shoppers are so used to that unless they see the guest checkout option at the very start of the process, they will quit without waiting to go five pages to find out. 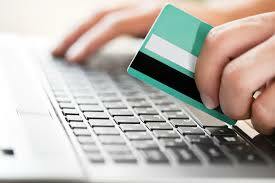 Secure Net Shop is an online cart ecommerce shopping provider for ecommerce sites.